We rely on the Secret Service to be at the top of their game and protect the President’s life at all times, even when he is sleeping, but they can’t catch 100% of threats. This was proven yesterday when Pastor Mark Burns caught something that may very well have slipped right into President Trump’s shirt and made him very, very ill. Right Wing News’ Tiffiny Ruegner received a text from Burns detailing his act of heroism. It’s not rare for spiders to seek refuge indoors during the fall and winter months, as their food supply has become scarce. That being said, not all spiders are created equal. Given the fact that this kind gentleman just slapped the President for no apparent reason, that’s probably a legitimate fear to have! Thankfully, they knew that Burns wasn’t trying to hurt President Trump, who was curious to know what exactly happened to his unwarranted visitor. As cute of a story as this is, the spider itself was no laughing matter. “It’s been confirmed that it was a poisonous Yellow Sac Spider,” the text concluded. For those who don’t know, the Yellow Sac Spider is poisonous, though not necessarily deadly to a fully grown man. That being said, the President doesn’t have the benefit of age on his side, so it is unknown exactly what would have happened if the spider did end up biting him. For more information on the Yellow Sac Spider, you can go here. And for those of you who are morbidly curious enough to wonder about the aftermath of the squishing, there is a picture. 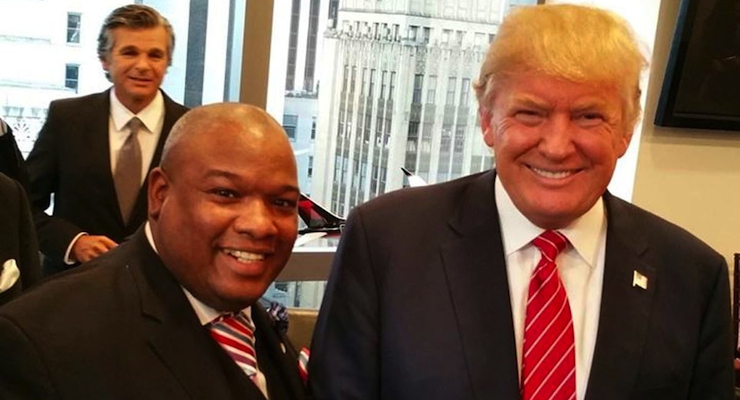 God bless Pastor Mark Burns for his service to the President’s back. 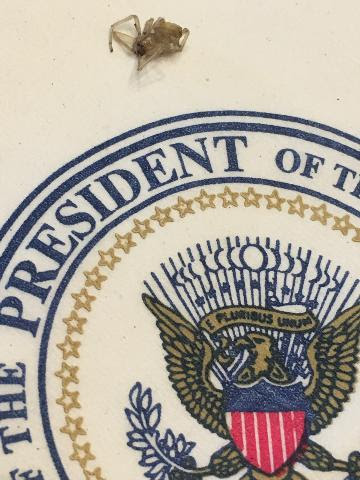 Who knew that spiders could so easily make it past the Secret Service?